This authoritative work is the first fully refereed A-Z compendium of the main concepts, problems, institutions, schools and policies associated with political economy. The entries emphasize the application of the principles of political economy to real world problems such as inflation, unemployment, development and financial instability, and provide valuable suggestions for further reading. The work covers all of the major areas in this growing field. 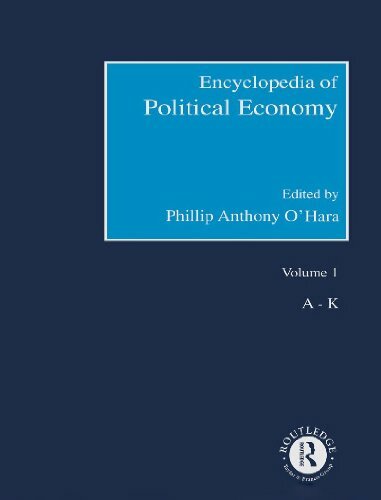 In addition to serving as an authoritative reference source for all levels, this work offers a comprehensive introduction to the field for undergraduates taking courses in political economy or graduate students coming to the field for the first time. 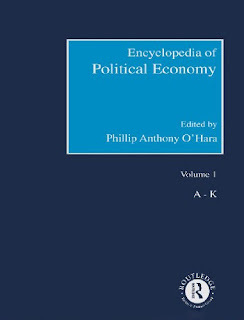 Entries include: anarchism, bioeconomics, business ethics, contradictions, corporate objectives, financial crises, foreign aid, game theory, global liberalism, Great Depression, industrial relations, Karl Marx, patriarchy, precapitalist world systems, racism, rationality, Schumpeterian competition, social fabric matrix, social wage, Piero Sraffa.